When I first wrote about Telltale's The Wolf Among Us, I hadn't yet had the opportunity to play it. While I knew it to look true to the comic series, I couldn't speak at all to it's gameplay. It's much more difficult, I've discovered, to quantify how much a game feels like a comic than how much it looks like the comic. I'd encountered this same predicament playing Telltale's earlier foray into the comic world, The Walking Dead. 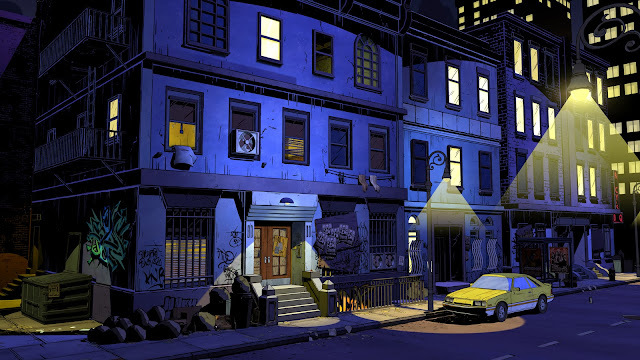 My impression of The Wolf Among Us after the first episode was overwhelmingly positive, both as a player and a long time fan of the comic series. Some reviewers have complained about some minor technical issues with the game playing on consoles. Playing on my PC, I didn't encounter any issues at all. The controls were intuitive and responsive. They were nearly identical to the controls for many of their titles, from The Walking Dead to Sam And Max. The game played smoothly, without any hiccups or graphical errors or slowdown. As I expected, the first episode looked gorgeous. The color palettes used for each location were evocative and vibrant. I could see almost any moment of the game as still frames in the comic. From the lamp-lit streets of New York City to Fabletown's City Hall, all were meticulously recreated from the original comics panels. Long time followers the the series will recognize a lot of landmarks, even in the first episode, entitled 'Faith.' But the game isn't just a love letter to Fables' readers; it offers a great introduction to the world they inhabit. The task of creating a game that would intrigue and entertain the full spectrum of players, from newcomers to loyal fans, was one that Telltale handled gracefully. Many have written about how difficult that process must have been for them, but I should point out that Telltale has a long history of meeting and exceeding those very criteria again and again. They have faithfully brought back Sam And Max and Monkey Island, and created wonderful games based on Homestar Runner, Wallace and Gromit, Back to The Future and The Walking Dead. 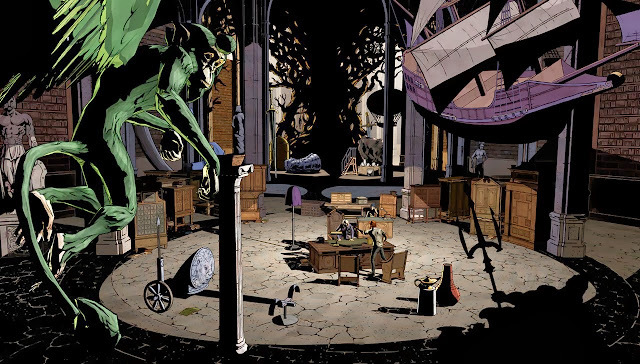 Their ability to recreate the world of Bill Willingham's Fables, should come as no surprise, though even I was impressed by the scale and depth of their recreation. The story begun in the first episode hooked me in the first few minutes. After finishing Faith, my mind was left whirling with theories and ideas. It's a well told story, in many ways a classic detective story, except that the detective is The Big Bad Wolf and your suspects are any number of classic Fairy Tale characters. As with previous Telltale games, you're forced to make tough choices more than once. How far the consequences will reach remains to be seen. Faith serves much the same purpose as the first couple issues of the comic. An introduction to the principle characters and their environment. The game takes place before any of the comics and in so doing, doesn't risk tromping on established canon too much. I've recommended Fables to so many, so often, for so long, that I can call it a habit, but I mean it when I say that the time between now and the release of the next episode is a great time to get into the series. It's been going strong since 2002 and has released over 130 issues. 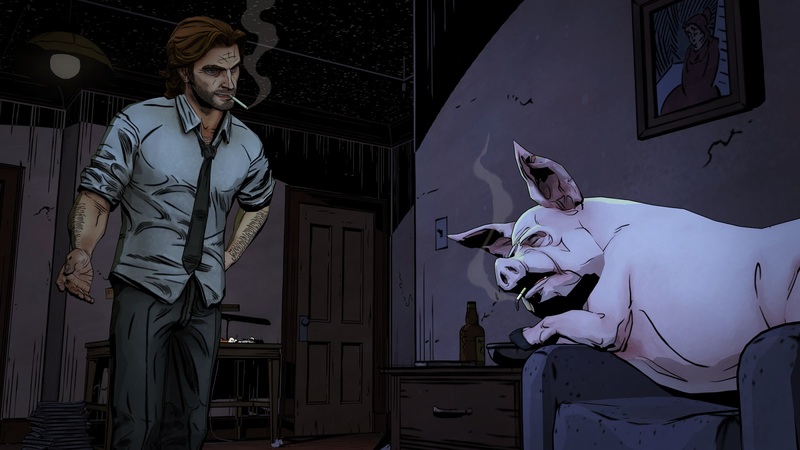 The Wolf Among Us continues Telltale's tradition of excellent storytelling and gameplay. I'm excited to continue the story and see if any of my theories pan out. I encourage any fan of Telltales previous work, fans of the Fables series, or anyone looking for a compelling and entertaining game to give it a shot.